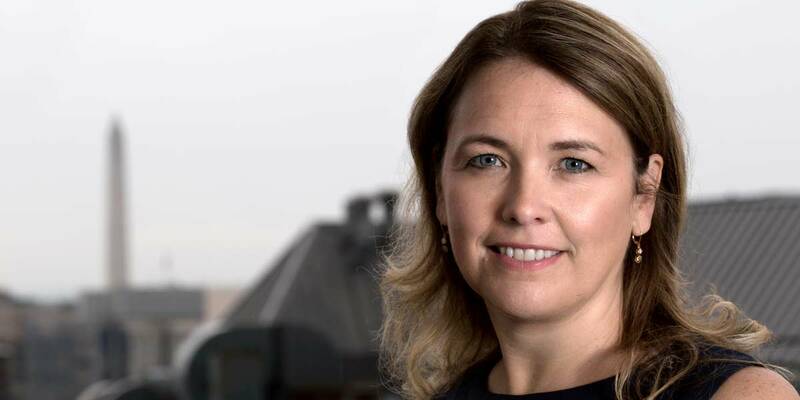 During the closing days of the Obama Administration, ONE’s Ian Koski spoke with MCC’s now-former Chief Executive Officer Dana J. Hyde about her time at the agency, MCC’s power investments in Africa, and why working to reduce global poverty supports U.S. national interests. Find an excerpt of their conversation below and read the full interview on ONE’s website. MCC is not like any other federal department or agency. Can you explain what MCC is, what it does, and how it fits into the United States’ work overseas? MCC is a really unique agency and program that follows some core principles. First of all, it only has one mission, which is to alleviate poverty in low-income countries through economic growth. Economic growth can look different in different countries and contexts on the development spectrum. MCC takes a very data-driven, evidence-based approach, working closely with countries (starting with their economists) to think about what in the country can be impactful in terms of growth and poverty alleviation. Sometimes that may be supporting power and energy. It could be creating roads to get goods to markets. It could be investing in education. MCC doesn’t walk in the door with any one view of what will be catalytic to growth and poverty alleviation. Secondly, MCC is selective. It’s a competitive program that’s working with countries that are themselves making progress. We’re only working with low-income countries, and looking at those that are relatively well-governed and investing their own resources in their people — in education, in health, in immunizations and the like. And finally, MCC takes a very country-owned, country-led approach. The country itself is in the driver’s seat about identifying needs and then helping to execute and address them. Right after you were confirmed by the Senate about two and a half years ago, you sat down with our late CEO, Michael Elliott, and talked about MCC’s commitment to one of those areas: energy projects, very specifically in Africa. And one of the things you said kinda stuck in my mind: You said, “Power empowers.” Why is it that electrification is so important to ending poverty? That’s a great question, and certainly, I have a fond memory of your great CEO, Michael, and all that he did to lead this effort around the globe. You know, you can go into any market in Africa — any market around the world — and you can see young people using innovation and entrepreneurship and their energy and skills to create businesses and opportunities. I was just in Accra, Ghana, and had the chance to walk through the market and meet with two young men who were working in a printing shop. They were putting together business plans around flyers and printed materials, and I talked to them about where their market is and how they’re using their skills. I also met with a mother and daughter who have a baking and catering shop. 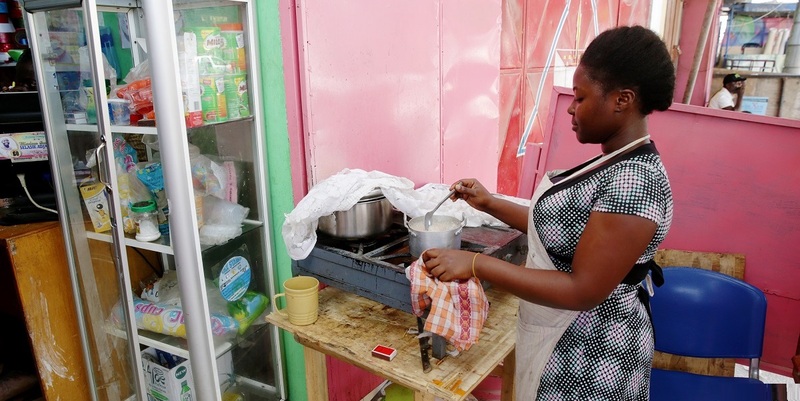 Abena (pictured) and her mom run Partmor’s Snacks, a small catering shop in Accra New Town, Ghana, that has suffered financial losses because of regular power outages. As part of MCC’s Ghana Power Compact, targeted infrastructure investments and power sector reforms are helping to deliver more reliable and affordable power to Ghana’s businesses. All of their efforts require power — to run the printers, to run the ovens. And what they told me was that intermittent, unreliable power meant that there are often power surges that have ruined those ovens they use to bake — and there is no insurance to buy new equipment. So, you see in a very tangible, real way what electricity infrastructure brings to people, to communities who want to support their families and educate their kids. And you see how, with power and access to it, they could take their skills in many different directions. Part of the reason you went to Ghana is because of MCC’s compact with Ghana, where you are investing about $500 million to help people access reliable energy. You were able to see the problem and opportunity of electrification. Were you able to see progress while you were there? Absolutely. The commitment of government to transform the energy sector, starting with utilities and electrification capacity for the sector overall, is certainly there and strong. This isn’t just an aid effort — far from it. This is an investment of many private-sector actors who are working together with MCC in Ghana to transform the sector so, at the end of the day, there can be more power and reliable power in the markets and for the people I met. Obviously, helping people who are less fortunate is part of who we are as Americans. It’s the right thing to do, and it makes a lot of Americans really proud — and it should. But that’s not the only reason the United States invests overseas, and you’ve been able to see the benefits of those investments during your time. How is fighting poverty overseas in the national interests of the United States? I think this is a critical conversation for us to have to help people recognize why it’s in America’s interest to do this work. It’s certainly true that it’s in our values and who we are as a nation, and that’s critical. But it’s also in our economic interests. In 2017, in this global economy, 95 percent of the world’s consumers are abroad and half of U.S. exports go to developing countries. We know that six of the 13 fastest-growing economies are located in Africa. Growing these markets is a win for American businesses and our own economy. And as we know, there’s also the importance of fostering stability and security overseas. We’ve seen in parts of Africa and around the globe the consequences of instability. So there’s a security interest, there’s a moral interest, and there’s an economic interest in why fighting poverty is good for America. You’ve been CEO now for almost three years. What do you know about fighting extreme poverty today that you wish you knew when you started this job? What I know today is how much energy and effort is coming together to improve the lives of some of the poorest people around the globe. I think intellectually, I might have known or heard that to be true, but three years later, I’ve seen it and I know it. And what I have seen and experienced gives me hope in fighting extreme poverty around the world. It motivates me. What do you think America’s foreign development assistance looks like in 10 years? I think if we see the curve of where official development systems were 50 years ago, in terms of capital flows into the developing world — it was north of 65 percent, and today it’s south of 10 percent — then that will continue to be the case. And I say that not to imply that there will be a reduction in development assistance, but because other sources — be it domestic resource mobilization, be it domestic private investment, or foreign direct investment — will continue to enlarge the wedge of that trend. I think it puts a premium on the U.S. on working with other actors, be it private sector or other public sector partners. I also think the U.S. will hopefully engage in more tools of economic growth and economic development. I think the data is clear on the potential that it has to improve and save lives, and that’s one area in which I hope the U.S. drives further.